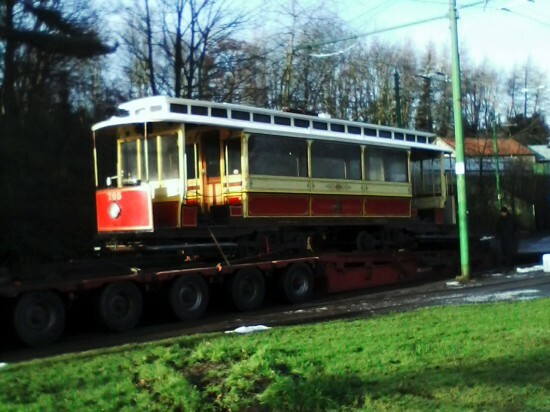 Manchester 765 arrived at Beamish on Wednesday 6th February following its lengthy journey from the Heaton Park Tramway. 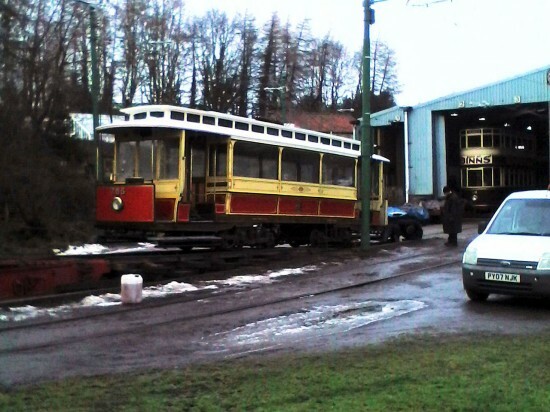 The tram was soon offloaded and moved onto road 3 in the depot where it will reside whilst it receives attention to its bearings before it is fully prepared for service. As we reported yesterday 765 departed Manchester the previous day and then made its way across the country to County Durham where it is to be one of the star exhibits at the Great North Steam Fair (taking place between 11th and 14th April). It is due to remain in the northeast until June and is likely to see use at weekends until its departure. Of course, it is due to the one of two visiting trams during that period with Crich’s Blackpool & Fleetwood Box 40 scheduled to make the trip from Blackpool in early March and remain until August after which it will head to Crich for a new chapter in its preservation life. Elsewhere at Heaton Park with some shunting required to prepare 765 for its departure the chance was also taken for Blackpool Railgrinder 752 to be towed from Lakeside Depot to Middleton Road Depot where diagnostics will be undertaken on the electrics. Preparations for the start of the 2019 season are also well underway with both Hull 96 and Blackpool 623 having a service inspection ready for the start of services on 17th February whilst the track has also been cleared of all that winter sludge which has congregated since the end of the 2018 season. Manchester 765 shortly after arrival at Beamish. 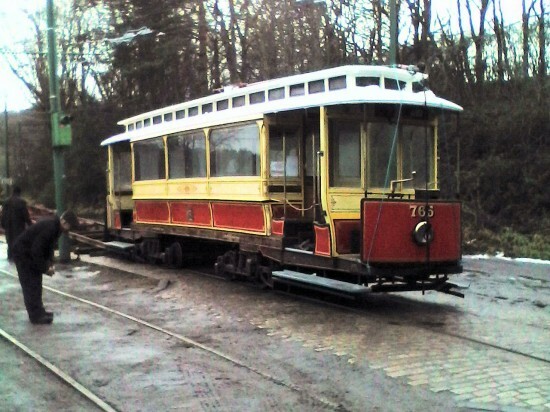 The tram is unloaded in front of the depot.